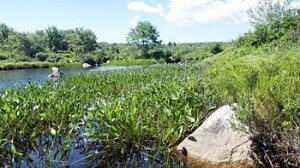 The Backlands, located only a few kilometers from from peninsular Halifax (Nova Scotia), are a Thompsonesque urban wilderness of approximately 1350 hectares which include nine lakes, hills with spectacular views and dozens of kilometers of informal hiking and biking trails. Erratic blocks, whalebacks and boulder fields are prominent features of the glacially scoured landscape. This land of rocky outcrops is amongst the most fire-susceptible landscapes in Nova Scotia, with recurrent fires pre-dating European settlement. 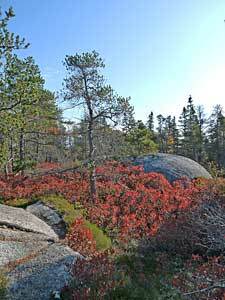 One result is the presence of fire-dependent ecosystems including the globally rare Jack Pine/Broom Crowberry Barrens. 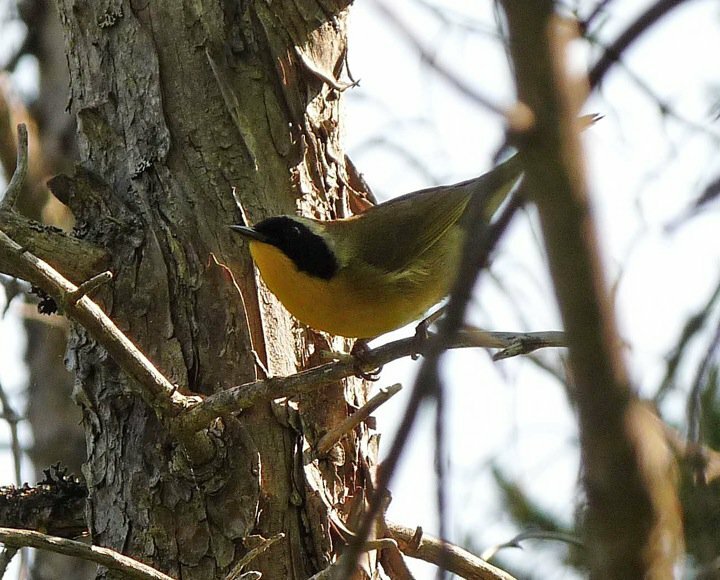 These serenely beautiful woodlands are found in only a few windswept, rocky outcrops along the Atlantic coasts of Nova Scotia and to an even more limited extent, in coastal Maine. Some of the best stands anywhere are in the Backlands. A complex system of seasonal and permanenent wetlands and watercourses purifies water flowing into the near pristine lakes. 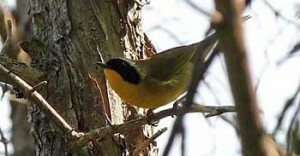 The undisturbed nature of this wilderness area, its mosaic of habitats with wetlands, lakes, forest and barrens, and its location by the coast in the most urbanized area of the province make the Backlands important habitat for migratory and breeding birds. These include for example a family of loons on Williams Lake (a sign that this lake at the urban-wildland interface still offers the required degree of seclusion), nighthawks on the barrens and rusty blackbirds feeding in vernal pools. Deer, mink, beavers, porcupines and coyotes are commonly sighted in the Backlands and occasionally, moose from the Chebucto group of the endangered Mainland Moose. In addition to brook trout and eel, Atlantic salmon have recently been caught in McIntosh Run. A complex network of mostly informally developed trails reflects the traditional usage of the Backlands for recreation, while old quarries and railway embankments are vestiges of industrial activity in the earlier days of Halifax. Currently, 120 ha of the Backlands are formally protected and 508 ha are crown land.